If you’re looking for a holiday that combines adventure, natural beauty, culture and a sense of the exotic, then you should look no further than the north African country of Morocco.This diverse paradise is brimming with majestic palaces, fascinating museums that are full of unique artefacts and natural landscapes that you won’t be able to find anywhere else in the world. If your perfect holiday involves you soaking up the sun on stunning beaches, then Morocco is the place for you. There is no shortage of flawless stretches of sand across the country, such as the sun-baked Essaouira and Legzira, which are lined with sandstone cliffs. For those looking for more of an adventure, the landscape of Morocco provides the ideal terrain for hiking and trekking. The Rif Mountains in the north of the country are carpeted in luscious green forests and hidden caves, while the Middle and Anti-Atlas Mountains offer visitors peace and tranquility. 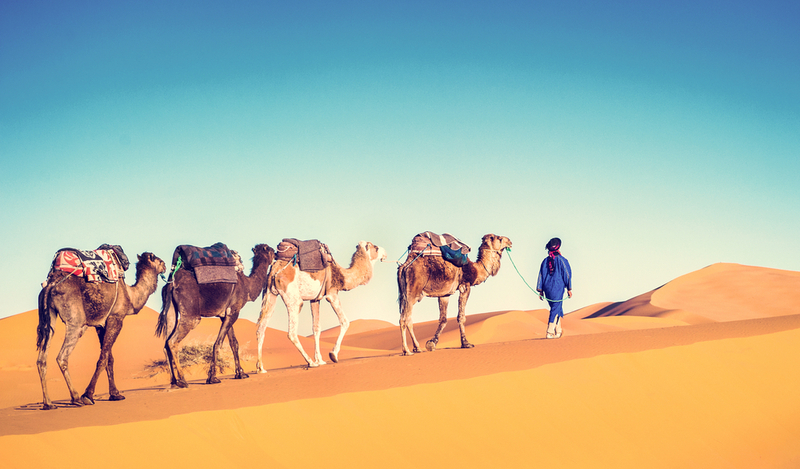 As you travel across Morocco, you will be drawn in by its rich history and distinctive culture. The cities of Marrakesh, Fez, Rabat and Meknes are overflowing with palaces, mosques, museums and churches for you to explore. If you decide to stay in Marrakesh, the Blue Sea Marrakech Ryads Parc and Spa is a traditional resort that offers a peaceful place to rest your head after spending your day seeing the endless sights of the city. Over the centuries, Morocco has been touched by many cultures and powers, including the Berber and Roman invaders, as well as French and Spanish settlers. Their influences will become apparent as you travel through its towns and villages. There are many guided tours to help you learn everything about the country’s enthralling past. Try your hand at haggling on the delightful markets, which sell exotic spices, handmade gifts and delicious street food. Music and dance play a big role in the culture of this north African country, and you will feel this no matter where you visit. Locals delight tourists by putting on performances and telling tales of what came before.